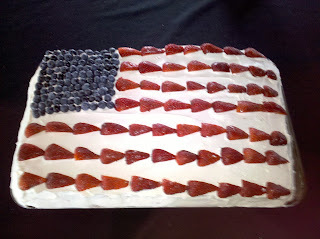 Flag cake is easy to make: white or chocolate cake mix, Cool Whip or whipped cream, sliced strawberries and blueberries. My small hand skills are limited but, the grand kids don't notice the imperfections. How odd it is. Our last 4th of July. It dawned on me today that many holidays we celebrate here in the US, won't be celebrated abroad. Duh! No 4th of July. No Labor Day. No Thanksgiving. No President's Day. No Memorial Day. With our intent of blending in while learning the culture, we'll make every effort to embrace those national holidays that are befitting our personal beliefs and respecting those that are not. Before Thanksgiving, I'll post some of these recipes for anyone who may be interested. Tom didn't love everything. He has picky taste buds.. I can eat my shoe, enjoy the taste and digest it with nary a belch. Not picky. I ate all the leftover GF items for days while Tom nibbled on the turkey and the GF broccoli salad. After the fourth pumpkin pie, I was done. We won't miss the Thanksgiving meal so much. 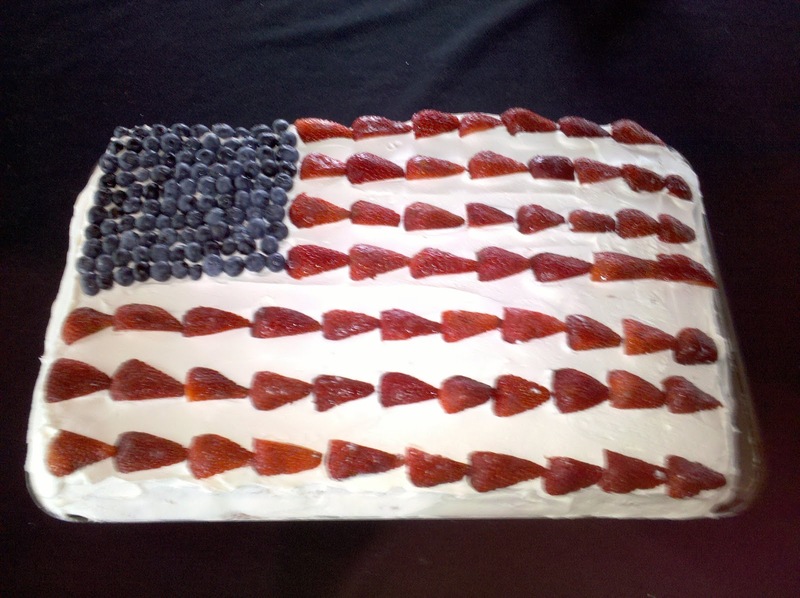 Now, as the 4th of July approaches, the plans and menu are in place. Here's the menu. Recipes follow for the starred items. Luckily for both Tom and I, most of these recipes are gluten free, except for the cake and cornbread. Also, we gave up corn and all its products last August after reading the book, Wheat Belly by Dr, William Davis to discover the way corn has been genetically manipulated to increase production, stripped of nutrients and loaded with chemicals. That was a tough one to leave behind. Refrigerate overnight for best flavor. Keep chilled in jars for one week refrigerator. My mother Sylvia (may she rest in peace) was a quirky woman but, a fabulous cook. Much to the surprise of other good cooks, she didn't like to share certain recipes. 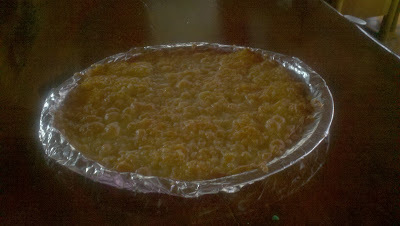 This cornbread was always a huge hit among those fortunate enough to try it; moist, sweet and flavorful. She didn't give me the recipe until I was 30 years old, old enough to keep the "family secret recipe." She made me promise not to give anyone the recipe in "her lifetime." When she passed away in 2003, my friends were chomping at the bit for the recipe which I gladly shared. Here it is! If you take the five minutes it takes to dump these ingredients into a bowl, stir well and keep an eye out with a toothpick while it bakes, you and your guests will experience the best tasting cornbread on the planet! Bake at 350 degrees for 35 minutes or until done when a toothpick is inserted. Enjoy! Tom and I don't eat this due the the cornmeal, sugar and Bisquick. The smell while baking in itself is quite intoxicating, reminiscent of another time. Tomorrow, Tom will place our traditional 200 small flags along both sides of the peninsula. We'll take out our red, white and blue hats, leis, tee shirts and serving pieces. We'll celebrate the 4th of July with the same fervor we have each year, watching the boat parade at 7 PM, tossing water balloons, making giant bubbles and sitting at the end of our dock at dark to watch the head turning five fireworks displays all at once. Bittersweet! Next summer on June 2nd, while living in Tuscany, we'll celebrate the Anniversary of the Republic or on August 15th, Ferragosto. Bye, bye, 4th of July! We aren't backpackers. We aren't hikers, mountain climbers, white water rafters or campers. Maybe, just maybe, we're zipliners. We like air conditioning, iced tea with lots of ice, salad with dinner, fluffy bath towels and 600 count Egyptian cotton sheets. Oddly enough, we don't care for sightseeing. We force ourselves to go to the Minnesota State Fair, every three or four years, rarely trying any of the overpriced, unhealthy "things on a stick." We seldom go to the movies, instead preferring to watch it later "On Demand" in our own time, sitting in our comfy chairs while enjoying a low carb, gluten free homemade dessert. But, we do like the laughter of our grandchildren running wildly through our house, the smell of my mother's recipe for pot roast slowly baking in the oven on a cold day, sitting at the end of the dock watching the bottom feeder fish jump into the air on a warm summer night before the mosquitoes start biting. We love entertaining family or friends for brunch or for dinner, serving foods we know they'll like, befitting their "diet of the week" or special dietary needs. We love the ease we feel whether preparing an awe inspiring gourmet meal or simply burgers on the grill. We love the well-fed and appreciative smiles on our guests faces as they finally go their way, giddy from the copious glasses of good wine, good food and the constant laughter. We love nature; the cardinal alighting on a branch, the white albino squirrel leaping from tree to tree, a miniature red cedar sapling growing in the stone patio or the spunky yellow day lilies that bloom every year with so little care. We love the fluffy white pillows created from the falling of fresh snow when we know we can stay inside, feeling that special sense of comfort that we Minnesotans somehow find so familiar and peaceful. Will we see the Sistene Chapel? (Last week, a young pop star on David Letterman's show referred to it as the "Sixteenth Chapel! Hahaha!). Maybe we will, depending on the crowds, our mood, the weather, the convenience. But, we'll walk with the locals and their chickens along the road in Tuscany to the outdoor market each day to buy fresh brown eggs and freshly picked brightly colored pesticide free produce. 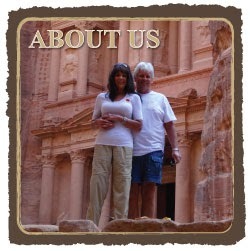 No, we're not backpackers or sightseeing fanatics. We'll be two 60 something retired people living an ordinary life, that are easily entertained by simple pleasures, many of which will change, many of which won't be available and many of which will be new or different. As long as we can breathe the fresh air, be a part of Mother Nature's bounty, mingle with the people and their way of life, have a comfortable place to sleep and a couple of comfy chairs or sofa, we'll only enhance the joy we'll have carried along with us, not in our overloaded suitcases but, in our hearts. Technology is an integral element of our ability to experience life "on the road" for a period of years. 1. The hotel provides Internet access for free or for a charge. 2. The cell phone service provider allows phone calls for a roaming fee or not, depending on where one is vacationing. 3. Smartphone data is provided by the cell phone data plan at increased rates if outside the US or on a cruise ship. (We've all heard the Internet legend where a kid played games on the phone during a cruise after which the dad got a bill from his cell service provider for $20,000. Not so unlikely). Over the past several months, I have been researching international cell phone options for us once we leave the US. Coincidentally, both of our contracts will have run out by November 1, 2012. The timing couldn't have been better! iPhone users have been saying, "You need an iPhone for international travel!" This is not our best or only option. We will need an UNLOCKED phone which simply put is a GSM (Global System for Mobile Communications) which is not associated with any specific cell phone carrier and thus, no contract is required. An unlocked phone doesn't have any service until one inserts a SIM card (Subscriber Identity Module), purchased in the country in which it will be used, providing both phone and data, with time and usage limits. When the time runs out on the card, one either purchases another SIM card or buys additional time through an online account attached to a credit card. SIM cards each have their own phone number, not the handiest aspect when buying new cards from country to country. (Our old phone numbers won't work). Unlocked phones are considerably more expensive than purchasing a cell phone through a carrier and committing to the usual two year contract. By signing a contract, the carrier makes enough money from the subscriber for them to be able to sell the smartphone at a reduced price or, in some cases, for free. How do we purchase an unlocked phone? We could buy one from Verizon, our current carrier for about $800. Other web stores such as Amazon sell unlocked phones. It is imperative that the phone be GSM or the SIM cards won't work. discover that the phones were not unlocked and had to figure out how to unlocked it themselves which may be as easy as flipping a switch or as complicated as hours online following complicated instructions. In the worst case, one could send the phone to an unknown technician to have it unlocked, paying a hefty fee. This is the primary reason consumers hesitate to purchase an unlocked phone: Will it really be unlocked and if not, what do I do? Most people prefer to buy a two year contract and not mess with SIM cards which are also available in the US. When we purchased our new unlocked GSM smartphones, we may consider buying two of the SAMSUNG GALAXY S III I9300 UNLOCKED GSM QUAD BAND SMARTPHONE from the company in this link by recommendation from CNET, a company that does reviews for technology and offers technical support, a company I have followed since the early 1990's. 1. In the event of an emergency, we will always have one charged phone handy and time left on one SIM card. 2. There are times we won't be together for short periods: I may grocery shopping on my own or work out at a nearby health club. If something happens, we can phone each other. Piece of mind is worth a one time cost of $700. 3. OK, here's a frivolous reason: We can both play games on our phones at the same time and, with each other and read books on the Kindle app. 4. Based on the specs of this particular model of smartphone (new as of a few days ago), it has a decent camera, perhaps all the camera we will need (we shall see). We can both be taking photos or videos at the same time while on safari! By no means, are we experts on this topic and through research we've found varying opinions. And, this cell phone issue has been nagging at us for awhile. Finally, we feel we have a handle on it and can look forward to our new purchase this upcoming October, among with other digital needs! Ceramic tea set our granddaughter used to serve us "tea." I saved this set for her as we made totes for our grandchildren filled with memorabilia. ﻿﻿As we sat in our comfy chairs this morning, a rerun of Sunday Morning playing in the background, our precious little granddaughter almost three years old, served us "pretend" tea from this tea set which had gone unnoticed on the bookcase for almost 26 years. 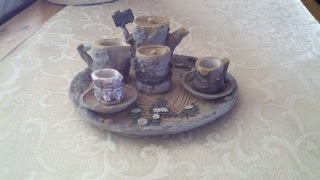 Where I found this miniature tea set fails me. Was it an arts and crafts fair, an antique shop, Apple Days in Excelsior, or merely a local garage sale? In any case, most likely I didn't pay more than $10 for it. But this morning when our tiny overnight visitor served us the tiny cups of "pretend" tea, it was priceless. When she leaves later today to return home, I will carefully wrap and place this little treasure in the bins we are saving for each of our grandchildren, little treasures from our past for our treasured young loved ones. Ouch! Wiping tears from my eyes, Tom suggested I look at the TV for a moment to see a story on Sunday Morning about Fiesta of which we have main dinner service for 25 plus a wide array of plates, serving pieces, bowls and glasses. In 2004, we remodeled our kitchen combining three rooms into one large space. Due to our close proximity to the lake, zoning restrictions prevented us from "building out." With seating for 12 at the giant wood island, eight at the 60" square table, three at the corner banquet and two more in comfy chairs for a total of 25. 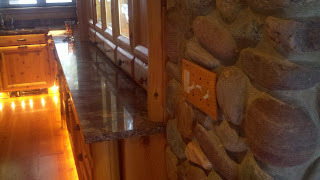 River rock granite and stones on side of fireplace. Our Fiestaware dishes brought out the colors. 1. We were able to choose four base colors all of which matched our river rock granite counter tops and hand picked river rock boulders in the fireplace. This resulted in either a mix and match place setting for smaller groups or one or two color place settings at any time. 3. Durable - I am constantly dropping things (or, as Tom would say, I'm "a bull in a China shop." 4. Easy to find replacement pieces on EBay and other web sites. 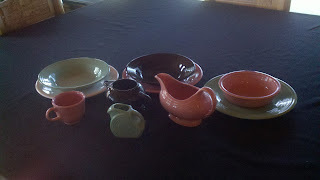 Sample of the colors in our Fiesta dinnerware. This was fun! Tom wasn't into cloth napkins when I met him. In time, he came over to the other side, leaving me chuckling when he occasionally helped set the table, gingerly placing the folded napkin in the correct spot. That's my man! Let's not forget for a moment that we met halfway on the multitude of differences we immediately observed when we started dating. (Those will be a point of discussion in a future post). Adapting to each other's taste and differences is part of the reason we will be able to continue to be happy when we're together 24/7, beginning this October 31st! We are continually challenged and intrigued by these differences while being delighted by the accommodations we each make to please each other. Needless to say, Fiesta... in its entirety will be sold at our upcoming estate sale or sooner. Bye, bye dishes! Any takers? P.S. If its hard to say goodbye to dishes, how can one fathom saying goodbye to family and friends? Stuffing that for now. Will deal later. The uncertainty of the quality of medical care in the many countries we will visit, undoubtedly presents us with cause for concern. Overall, we are both in relatively good health after working so hard to improve it these past few years. With our healthful low carb diet of organic, grass fed meats and produce, exercise (mostly me), reduction in exposure to toxic chemicals in our home, low stress and a happy relationship, we feel we can manage our few complaints easily from afar. Our doctor will be available via the Internet should we have questions and we'll be well armed with a wide array of preventive and emergency medications should an illness arise. In the past almost year, neither of us has had a cold, a virus or illness requiring a trip to the doctor. Our recent medical appointments have been for the sole purpose of reviewing our travel medications, receiving our vaccinations and having blood tests with an annual exam thrown in for good measure, all of which showed tremendous improvement from a few years ago. We are hopeful. Supplemental insurance for Jess (Medicare won't pay for any care out of the US). Only 60 at retirement, Tom will be covered by his regular insurance. Proof of insurance documents. Prescription processing from afar (as mentioned in prior posts, we're awaiting a response from our prescription plan as to whether they will provide us with 12 months of prescriptions at a time). Emergency medication for infections, bee stings and/or allergic reactions (Epipen) and gastrointestinal distress. Copies of all of our immunizations (proof of yellow fever vaccine required with passport upon entry into Kenya). Copies of all of our prescriptions (in the event we are asked during customs inspections or going through security). First aid supplies: Bandages, antibacterial and cortisone creams, alcohol, hydrogen peroxide (small bottles). Medical records for both of us (scanning these). Optical needs: extra sets of glasses/prescription sunglasses for Tom, three years of contact lenses for me. Both of us are yet to have our final optical appointments. Final dental appointments and supplies: Our teeth will be cleaned two weeks prior to leaving the US, while visiting Las Vegas over Christmas. The past few years, we both had all the crowns done that we'd needed. Copies of our living wills and legal designation for medical advocacy in the event of an emergency. A neat stack of medical forms and documents sits on our kitchen table with post-it notes reminding me to complete the above tasks on the appropriate dates. This Saturday is the free shredding event. After going through every file folder, cabinet, drawer and piece of paper in our entire home, we are ready for the event. No words can describe the freedom we feel from unburdening our lives with paper. Other than the required medical documents, passports and travel documents we'll need to have on hand, we'll leave a "paperful" life behind us, instead relying on the latest technology to provide us access as needed. Yeah for technology! Without it, planning for this adventure would be more of a headache than it already is! He liked his shoes! He liked my shoes! Buying gifts for Tom has always been a dilemma. His hobby is ancestry. What does one buy for a person obsessed with their ancestry? He recently purchased another year of his annual dues for Ancestry.com. Only a week ago, he purchased his DNA test from Ancestry.com to discover yet more about his roots. I could have presented him with a trip to Ireland to look for his ancestors but, duh, our travel plans are set for the next three years or more and, he's already traveled to Ireland twice, BJ (before Jess). In the past, I have presented him with books, tools, electronic gadgets and household "fix-it" paraphernalia and, every other year, swim shorts with matching colorful tee-shirts. This year I was at a loss. I couldn't buy him anything other than that which he could put into his suitcases. In an effort to ensure he had a nicely wrapped gift to open for Father's Day, I reviewed the remaining items he needed for our adventure, deciding on the double duty aspect of giving him gifts while fine tuning his packing. Ah! Yesterday morning after a breakfast of low carb, gluten free coconut flour pancakes, eggs and meaty bacon, I presented him with his gift, neatly wrapped in one big box with Happy Birthday paper (have to use that up) adorned with a matching black "guy" bow. We were celebrating the last Father's Day we'll spend in our Minnesota home. For Father's Day I purchased three swim short sets for our travels. When Tom left for a few hours yesterday morning for a traditional Father's Day activity with some of our kids and grandchildren, I decided to do the unthinkable; go to a mall!! His enthusiasm over his water shoes piqued my interest while I had visions of fancy high heels floating around my head for the many formal nights on the seven (so far) cruises we have booked. Tom has always loved to see me wear high heels, mainly pumps, no toes showing. Over the years, I have worn them less and less, fearful of falling and injuring myself. As the fashion trend to wear high heels (over 3") has escalated (no pun intended) these past several years, I kept convincing myself that wearing high heeled shoes is bad. One pair "water" shoes on left, dress sandals on right and "insect guard" long sleeve shirt and, what Tom refers to as the "French Foreign Legion" type hat with a neck protector that also has been treated with "insect guard"
Generally speaking high heels aren't comfortable. They pinch. They cause blisters. They cause corns and bunions neither of which I surprisingly don't have, after years of wearing heels in the 70's and 80's. Adventuresome spirit possessing me lately (zip line still a maybe), I decided to do whatever I could to find a few comfortable pairs of three or four inch heels to wear with my dressy dresses on the formal nights aboard ship. Comfortable heels? Oxymoron? I decided to put my shoe size vanity aside (81/2) and buy a wider width of my otherwise normal width feet to see if this would reduce the discomfort. Don't get me wrong, I can easily walk in high heels after much experience but, comfort seems to be more of a need than a want once a person hits their 60's. While at the shoe store, I only grabbed the 81/2 W. Amazing! I found these two pairs of perfect styled shoes, albeit not the pumps Tom prefers, that will be divine matches for two of my three fancy dresses but, I had to order the third pair when they didn't have them in stock. Not only were they comfortable, I could almost jog in these heels. Rather pleased with myself after the successful trip to the mall, I reveled in spending a grand total of only $73 for the four comfortable pairs of shoes. 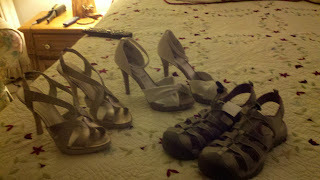 Note that my new "water" shoes on the right are almost identical to Tom's (although mine were less than 1/2 the price of his)! Imagine, we'll match! Returning home in the early afternoon, I began preparing his choice of dinner, a repeat from only two weeks ago: low carb, gluten free, sugar free, wheat free, grain free homemade pizza. 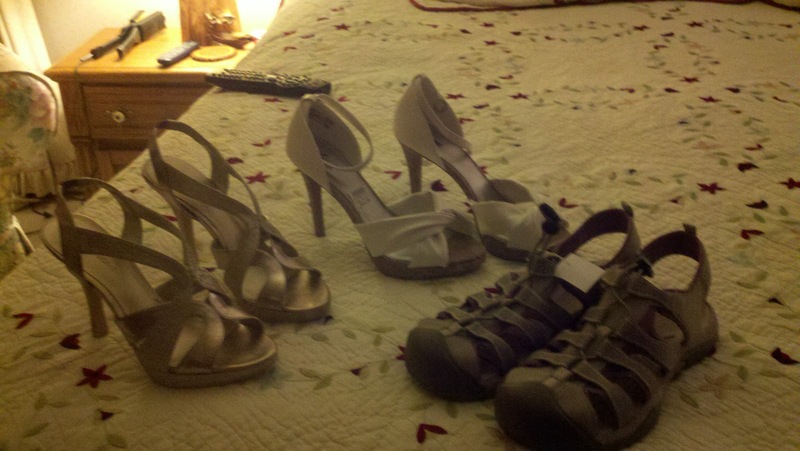 When Tom arrived home I rushed him off to the bedroom to see the shoes. 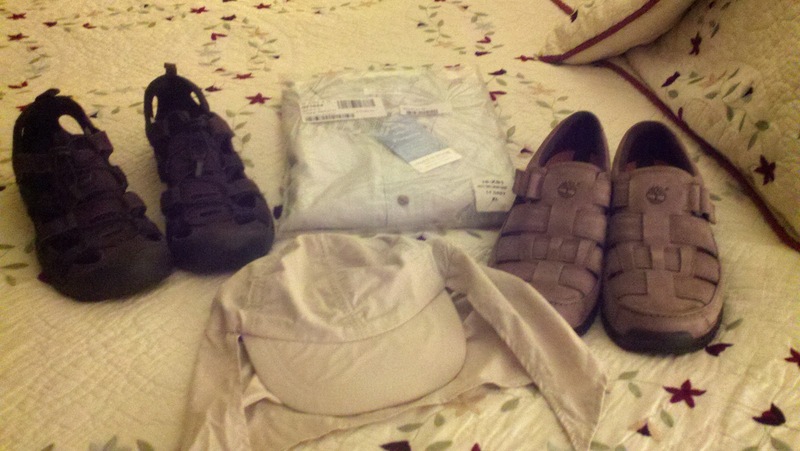 He giggled that the water shoes matched his and he liked the bargain price of $73. But his eyes narrowed as he contemplated the strappy high heels sitting on the bed, as opposed to a closed, no-toes-showing, pump. One solution to those narrowed eyes; I put on the most strappy of the two pairs and began prancing around the room awaiting a reaction. He waited for me to wobble. I didn't. He breathed a little sigh of relief. And then, that appealing toothy smile came across his face along with the crinkling of the little lines around his blue eyes. He liked the shoes. While grocery shopping yesterday, I grabbed a 12 pack of my favorite paper towels. Shocked by the outrageous price of $14.96, I stepped back while my eyes scanned the other options, all of which were lower priced. I had tried the other towels over the years but none could equal my favorites. (BTW, this is not an ad for paper towels. Note, no mention of a brand. Email or call me if you want the brand name). Then it hit me! On average I use two rolls of paper towels a month. With slightly over four months until departure, we will end up with about three unused rolls of paper towels including the additional cleaning to do before we sign off on the house. No need to buy the 12 pack. With the eight pack in hand at $9.97, the math swirling around my head, I laughed aloud at my ridiculousness, threw the eight pack in the cart and moseyed over the toilet paper, again going through the same preposterous calculations. I passed on the toilet paper, having counted the eight rolls on the shelf above the toilet before heading to the grocery store this morning, as I often do. No imminent need for the ultra soft, zillion sheets, favorite toilet paper either. (Please email or call for that brand). Certainly, a reader of this blog thinks I am the female version of Howie Mandell. I am picky but I can be kissed, hugged, shake hands and touch the rail on the escalator at the mall (although I seldom go to a mall preferring to shop online). I wash my hands about 20 times a day, less from obsession, more from a logical desire for the safe handling of our food. OCD?? Not really. I prefer to call it "detail orientated." Perfectionism? I suppose, to a degree. I have messy cupboards and drawers with the intent to prove that I'm not a perfectionist. After all, wouldn't a perfectionist try to be so perfect as to try not to appear to being a perfectionist? Who knows and basically, who cares? No one. Tom is hardly annoyed. Our kids think I'm weird in any case. And, most of all, I am neither stressed nor suffer any angst as a result of it. Periodically, I engage in a bout of worry in the middle of the night. Then again, who doesn't occasionally worry in the middle of the night? Thus, I am a content "detail orientated" individual that may annoy some of the people some of the time that, if they choose, may tease me relentlessly and I will genuinely chuckle. Yes, I'm packing too much stuff. Yes, I spend too much time looking for a better deal on a small item. Yes, I will hang clothes in the shower to get out the wrinkles. Yes, I will wear a different outfit every formal night aboard ship and have ample choices for Tom as well. Yes, I will continue my healthful low carb, wheat, grain, sugar, starch and gluten free diet. (Tom, not so much, especially aboard ship). Yes, I will continue to workout and take a handful of supplements each day. Yes, Tom will continue to spend endless hours working online, fine tuning his ancestry. Yesterday, was a "sorting" day. 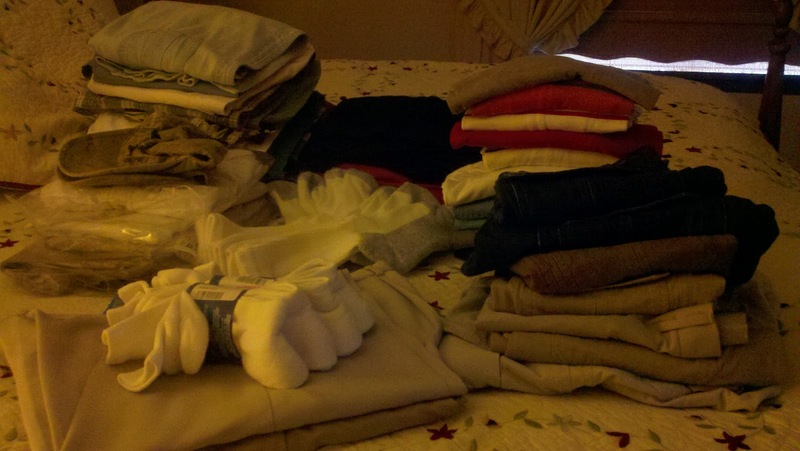 Arrange systematically in groups; separate according to type, class, etc: "she sorted out the clothes." Look at (a group of things) one after another in order to classify them or make a selection: "she sorted through her mail." Henceforth, in this blog I will use either of these two words, "pack" or "sort." "Pack (in our case), referring to the systematic, relatively insane process (in my case) of placing myriad clothing, electronics and personal effects into four suitcases and two carry-on bags with the ultimate goal of being dragged (yes, dragged) around the world. Oh, there is one exception to the above "pack,"...the process of packing a variety of memorabilia into approximately four over-sized plastic totes which our adult children have offered to store for us in their basements. Thanks, kids! "Sort" (in our case) referring to the systematic, relatively insane process (in my case) of examining and determining the fate of myriad household items as I peruse endless cabinets, closets, drawers, containers, boxes and old totes. Yesterday, I spent the entire afternoon sorting only a few items: a small plastic cabinet filled with office supplies and another smaller plastic cabinet filled with cosmetics. 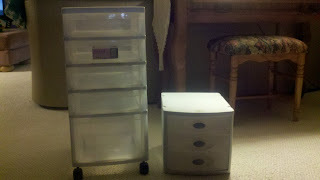 As I pulled these two dusty cabinets from my walk-in closet where they've resided for years into the living room with the TV on in the background, placed them in from of my comfy chair with a "to save" bin on my right an a "trash" bin on my left, working on the smaller cosmetic container first. 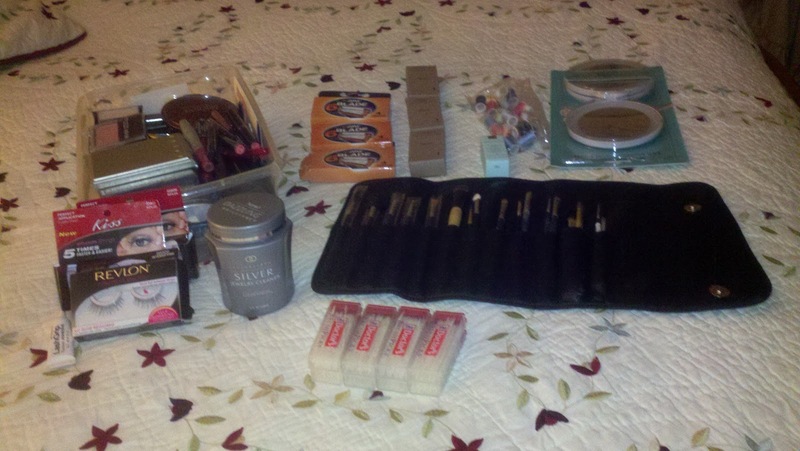 Two hours later after picking through every single item, testing, smelling, washing, tossing I discovered I had found 26 years of good quality make-up brushes as shown in above center picture. After washing each and every brush and tossing a few, I placed them in this neat little black foldout makeup brush case. I was thrilled! 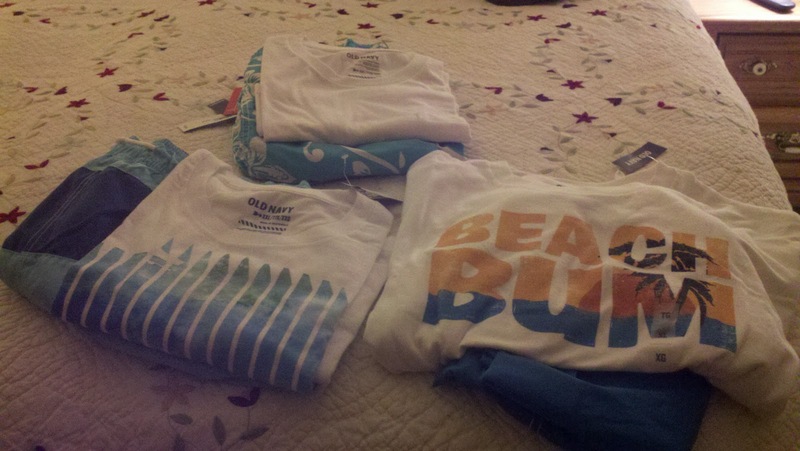 It was like brand new, definitely going into the "to be packed in suitcase" pile. On the island of Madeira, Portugal, located off the coast of Africa where we'll spend 2 1/2 months beginning May 2014, if I need a little paint brush, it will be right there! As for a makeup brush, yes, I will use some of these, not all of them. As I wrote this today, reality hit me. These brushes, minus, two or three for the trip, must go in the "to be sold" pile. If I've had these brushes for so many years and still hadn't used them it was time to say, "Bye, bye brushes." 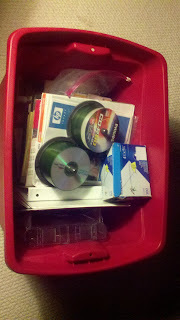 Bye, bye, office supplies. Bye, bye little cabinets. But, hello middle photo of miscellaneous toiletries (minus the brushes) including three pairs of false eyelashes that I can't seem to get to adhere to my own lashes (bye, bye, perhaps? ), eight packages of plastic brush teeth picks (our dentist says we've saved our gums using these), a portable magnifying mirror, silver cleaning polish (for my silver jewelry), and a plastic container with my cosmetics, enough to last for at least two years. Office supplies for the estate sale. All afternoon? Well, I did four loads of laundry, ironed a pile of clothes, made dinner, washed all the display glassware in the kitchen and spoke to a friend in Florida for an hour, who also retires in the fall. Today? Back to the "sorting" in preparation for the upcoming shredding event next Saturday morning; one "to save' bin on my right and one "to shred" bin on my left. On May 17, 2012, I posted concerns about our prescription refills when we are out of the US. As is the case with most insurance plans, the servicing mail-order pharmacy will not send more than three month's of medications at any time. Writing that post prompted me to contact the mail order pharmacy to request an exception, due to our unusual circumstances of our being out of the country for years as opposed to months. "We'd like to request that we receive 12 months of prescriptions in October 2012 before we depart for our journey. A year later, we will ensure we are at a location with an address and have you mail them to us for another year. Our doctor has approved this." "Oh, we don't send prescriptions out of the US," he said with authority in his voice. "Sir, we will be getting a new address in the US when we establish residency in another state in December 2012. Also, we will be obtaining the services of mail handling company in the same state. Could you send the prescriptions, 12 months at a time, directly to that address?" "Gee, I don't know," he quips, question marks flying around his head. "Can you find out?" I asked. This was like pulling teeth! "Uh, yea. Can you hold?" The authority was gone from his voice. On hold for 15 minutes, he returns with his answers. "Thank you for holding. We'll be sending you forms in the (snail) mail with instructions." "Oh, I have poor handwriting (true). Can you email them to me or are they available online?" I asked with the utmost of sincerity. "No, they have to be snail mailed and completed by hand," he says, sounding annoyed with me. Good grief! Where's my old typewriter? Within days of my inquiry, we received a packet of complicated forms, stating not only our standard identification information (OK, I get this) including every word on our ID cards (they have this). We were asked to list one prescription per page, reasons for the prescriptions, how long we'd had the illness, the diagnosis and the prescribing physician's information. With our regular daily prescriptions plus an additional prescriptions for preventive and emergency travel conditions, this would result in completing 20 pages! It would take days. Yes, I could manually enter the repeated information, for example; ID information, addresses and prescribing physician information, etc. and then proceed to copy and print the 20 pages, subsequently, manually entering the requested lengthy medical information. This still would take days! 1. Complete one page with the pertinent basic information. 3. Write a letter, signed by both Tom and I, explaining our circumstances, reasons for the request, including our itinerary for the next 949 days thus far. The supervisor agreed to my proposal. I reminded him to post it in the system as to his agreement with my proposal. Otherwise, they will receive the packet, send it back to me, complaining I didn't fill it out correctly and this entire process would begin again. Of course, I made copies of everything. Does this scenario sound familiar? I'll keep you posted on the end result. Yes, I suppose I'm bent on fitting every possible item, clothing and otherwise, into two suitcases and one carry-on each. The prospect of being unable to replace our clothing, toiletries and electronics online for at least three years, without paying exorbitant shipping fees, intimidates me. Tom's clothing do fit into one bag! 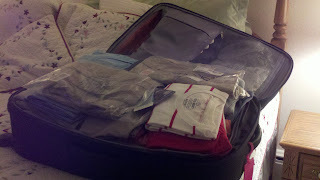 Not surprisingly, my clothes didn't fit into the one bag. (We'll get back to that in a minute). My fear was never wrapped around Tom's clothes fitting into one bag. Not for a moment! His second bag will include two dress shirts, one sport coat, one lightweight jacket, three ties, six pairs socks, twelve pair underwear, six pairs shoes, toiletries, four swimsuits, tee-shirts and two belts. This can be done. His carry-on will include electronics, emergency clothes, prescriptions (in the event of lost luggage) and snacks. His empty suitcase weighs 13.4 pounds, filled it weighed 47.8 pounds which is over the weight limit on some airlines. 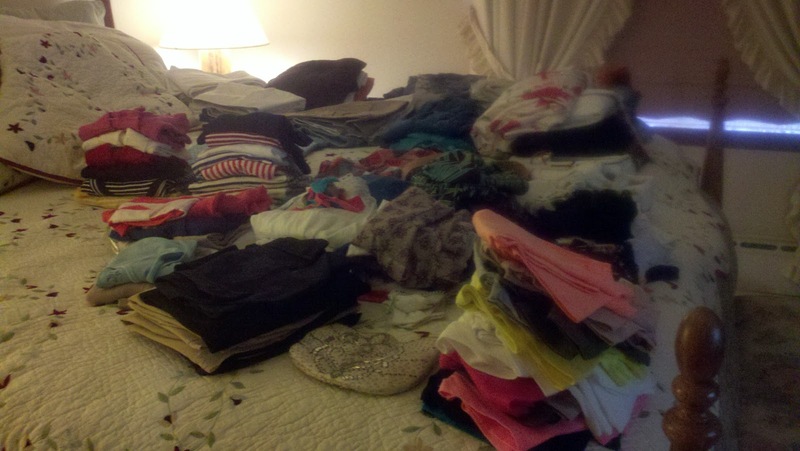 My clothing, hoping it will all fit into one bag. Now, for my situation. I can leave behind my frequently used kitchen gadgets, my antique dishes, my favorite winter clothes and jackets, the bulk of my "real" and costume jewelry, my varied selection of handbags and my fluffy slippers and robes. But, I won't leave behind the essence of the persona that connotes who I am as a woman, including daily use of various cosmetics (three year's supply), and matching outfits that must endure repeated washings. The matching tanks, the layering camis, the tops, the bottoms, the dresses; short or long, the shoes; the sandals, the workout tennis shoes, the "cute" pink Crocs, the comfy Minnetonka Moccasins, the spiky high heels, the cool pj's, the costume jewelry and all the items that assist a girl in feeling "put together" will accompany us around the world in heavy, bulky suitcases. As a result of my "girly" mentality, the piles of clothes didn't fit into my huge suitcase. In our bedroom, there currently is a large plastic tote half filled with the overflow. I have yet to add the following: two dressy dresses for formal nights aboard ship, more shoes, more underwear, two sets of workout clothes, one lightweight jacket, more shoes, more shoes and more shoes. As for my carry-on bag, it will include cosmetics, prescriptions, overflow electronics from Tom's carry-on and of course, emergency clothing. My empty suitcase weighs 15.2 pounds. Loaded up it weighs 48.7 pounds. By adding the dreaded second bags, our checked baggage totals will be approximately 100 pounds each, way over the limit of any airline. (Cruise ships don't weigh the bags). Yesterday, Tom and I discussed this situation at length. He finally put my mind at ease with this simple statement, lovingly expressed, "No worry, Sweetie. As the time gets closer, we will either prepay for the additional baggage online when we book our reservations or, if that doesn't work well, we'll talk to the airlines and figure it out." "In the worst case, we'll bite the bullet, pay to have the extra bags shipped or get a storage facility in Rome for the 8 months while we'll be living in Africa, just taking our BugsAway clothes and the basics." Thanks Honey, for helping me let go of this worry in order to go back to packing up our lives, figuring out how we'll receive our prescriptions, arranging our international phone and Internet service, purchasing and setting up two new laptops and an external hard drive, downloading no less than 100 movies, scanning another 500 photos, buying our emergency travel insurance, getting duplicate copies of our passports, getting residency and driver's licenses in another state, completing our vaccinations and medical appointments, going through every cupboard, closet, drawer and file cabinet in our entire house (26 years later), acquiring a new mailing address, buying a new camera (and learning how to use it!) and on and on and on. We'll get excited when the above tasks are completed. Wheat, grain, starch, sugar free low carb pizza crust? Yep! Each night, as I make dinner either for myself when Tom works late, or for both of us, I wonder how we will eat in a foreign land. As I lay out our organic produce, grass fed beef, wild caught fish or free range organic chicken, I anticipate these items won't be readily available where we are going. As I have mentioned in prior posts, as of last August, we became gluten free, sugar free, starch free, grain and wheat free and... low carb. Whew! Yes, its a challenge but worth it! For me, this way of eating has been a huge improvement in blood lipids including glucose, triglycerides, HDL and cholesterol. With a family history of diabetes, heart disease, hypertension and obesity, years ago I became mindful of a healthy lifestyle. Over the years I have been able to combat the obesity factor with a careful "low fat" diet and regular exercise while painstakingly sacrificing the pleasure of enjoying my most favorite foods: desserts, with a proverbial sweet tooth. Alas, all this effort was to no avail. I found myself with heart problems for which I had surgery two years ago, hypertension for which I still take medication and borderline diabetes with spiking blood sugars an hour after eating a carbohydrate rich meal. How could this be? I followed the USDA guidelines, MY PLATE and yet, my health continued to decline. After hundreds of hours of reading various Harvard, Mayo Clinic, UCLA Medical, Cleveland Clinic, etc. medical studies I ultimately ending up reading a book that changed my life forever, "Wheat Belly" by Dr. William Davis about the destruction of the wheat that our ancestors knew, formerly 14 chromosomes, now 44 chromosomes, genetically changed with the intent to increase the world's wheat production; a faster growing, shorter crop that can withstand the use of Monsanto's ROUNDUP! Oh, good grief! Last August, Tom (who went kicking and screaming) and I both gave up wheat, rice (both white and brown), grains, bread, doughnuts, cake, cookies, pies, grain fed meat, farmed fish, corn, sugar, soda pop, MSG, potatoes, starchy vegetables, and on and on. Tom has now lost 30 pounds. I didn't need to lose any weight but desperately needed to change my health. This way of eating did exactly that! A few weeks ago, a full round of blood tests confirmed that finally eating healthy fat and eliminating wheat, grains, sugar, starches and reducing carb consumption did indeed change my health for the better. Tom, now a believer, will enjoy a favorite item from time to time. But I adhere strictly, realizing the risk is too high. Tonight, we're having homemade pizza made without wheat or any form of flour or starch. Here is our homemade crust with the recipe which is easy to make. Mix cheeses and beaten egg in bowl. Spread mixture evenly over parchment paper placed into the pan. If necessary to fill holes, sprinkle a little more cheese. This doesn't have to be exact. Bake in preheated oven for about 14 minutes, keeping a close eye to ensure it doesn't get too brown. Let cool before adding toppings. The challenge had been to find a pizza sauce without sugar. The best sauce I have found thus far is Rao's Marinara Sauce, easily found at most grocery stores. Although pricey at $8.95 a jar, it does make four pizzas which is less than a standard jar of sugary pizza sauce. For the balance of the pizza, we like to add one pound of pre-cooked and drained hot Italian sausage, 3/4 cup sliced green olives, one cup sliced mushrooms and 1/2 cup diced onions, all topped off with about 12 oz. mozzarella cheese and 1/2 cup grated Parmesan cheese. Bake in preheated 375 degree oven for about 25 minutes, again checking frequently for a perfect bubbly golden top. We love this pizza! The question becomes...will we be able to make our pizzas in in Belize, Madeira, Tuscany, Mombasa or Mallorca? Will we have access to Rao's or a good substitute, a pizza pan and parchment paper? How readily available is grass fed beef, free range chicken and organic vegetables? Will we be able to find sugar free maple syrup for our low carb coconut flour pancakes? Will we be able to buy coconut and almond flour or coconut oil, staples in our diet? What about our Crystal Lite Iced Tea? Liquid Stevia? Alpha lipoic acid supplements? If anyone knows the answers to these questions, please comment at the bottom of the post. Love to hear from you. Love to stop wondering what we'll make for dinner! With our way of eating, its been challenging enough! As I hauled out one box after another to our overflowing garbage and recycling bins today, a powerful sense of determination drove me to keep up the pace I had started on Monday. Yesterday, I had two more vaccinations; the first in a series of three rabies shot and a single Meningococcal vaccine. The risks of serious side effects from either of these vaccines is fairly low, although approximately 50% of the population experience mild side effects including flu like symptoms with a fever and/or redness and itching at the site of injection. After Tom had these same vaccinations last Friday, he felt lethargic, achy and "out of sorts" (his words) over the weekend. I guess I feel somewhat the same today. In looking on the inside of the bottle , there is a 1½" cylinder that holds a gel-like non-toxic item, that can be frozen to keep drinks cold. While worrying about "safe" ice last weekend, I ordered four ice cube trays with lids to ensure we'd be able to make ice from purified water. In discussing our endless list of "habits" we'll need to break living outside the US, we had struggled with the reality that clean, "safe" ice may be a commodity that we will be forced to include on the "goodbye" list. 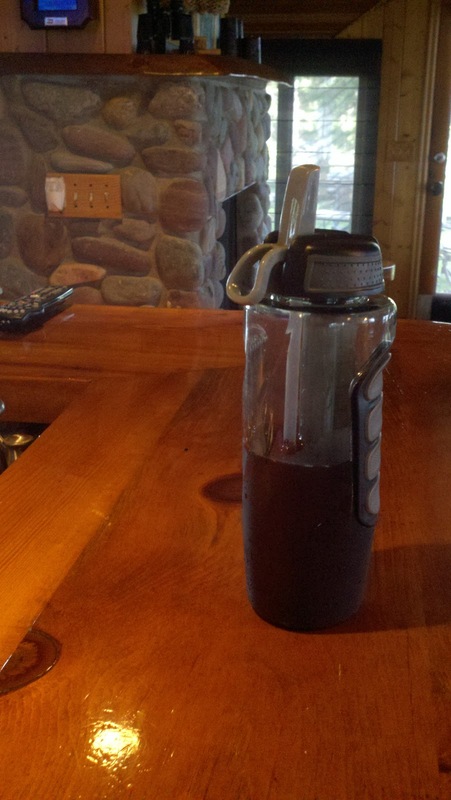 By bringing our own ice cube trays and getting settled at a vacation rental, we will fill them with bottled/purified water to make our own ice. Every property has a freezer and bottled water for our use. Also, the ice cube trays with lids will function as jewelry boxes for my earrings, bracelets and necklaces, preventing them from tangling. Since customs requires prescriptions to be in the original bottles, we can each use a tray while situated to contain our weekly medications and supplements thus preventing the necessity of bringing those bulky 28-day pill cases. When I had ordered the ice cube trays online last weekend, I had no idea I'd find these sports bottles that will serve us well for our daily doses of iced tea and water. The iced cubes trays will be perfect for Tom's cocktails. I couldn't get home from Kohl's quickly enough to put the cylinders in the freezer so we could test them tonight with our iced tea. It took about three hours for them to fully freeze. Here we sit this evening, enjoying our new bottles of iced tea knowing that we'll need two more of these bottles allowing another to be freezing while we are using one. Back to Kohl's in a few days. The bottles originally cost $12.99 each. They were on sale today for $5.99 each. Today, Wednesday, is Senior Discount Day at 15% off, resulting in my paying $10.18 + tax for two, as opposed to what would have been $25.95 + tax. While at Kohl's today I also bought a pair of white KEDs and brown slide sandals. The KEDs worked out great. But, when I walked around the house in the sandals, they hurt my feet and I will return them. The total bill for the bottles and the two pairs of shoes was $51. Kohl's was offering their "Kohl's Cash" today, giving me back a $10 gift certificate that may be used for any purchase within a certain date range that happens to fall into next Wednesday. I will return to the store next Wednesday to return the sandals and, while there, use the $10 "Kohl's Cash," to purchase the two additional bottles for $5.99 each at a total of $10.18 + tax (once again using the Wednesday Senior Discount), use the "Kohl's Cash," pay the remaining $.18 + tax and bring home the additional two bottles. That's my kind of deal! As October looms nearer and nearer to our Halloween departure date, I lay awake at night prioritizing my tasks. With Tom gone to work Monday through Friday for 14 hours a day, the sorting and packing of a lifetime is logically in my hands. A portion of the most unbearable tasks have been started or completed including the cleaning of our formerly junk laden attic, the messy top of my closet, many overstuffed drawers and hangers with outdated forgotten clothes, much of which I already hauled to Goodwill. We've scanned over 500 photos thus far with hundreds more to go. A few months back, I removed every photo in a frame in our house, scanning the photo and saving an entire plastic tote filled with frames to be sold at our upcoming estate sale. Looming in the back of my mind these past months have been the papers; boxes, drawers, file cabinets, banker's boxes filled to the brim with receipts, tax records, legal documents, forms, medical files, certificates, insurance policies and on and on. Although not hoarders, we've kept that which we thought we'd need to keep, 90% of which we never referenced in all of these years. After assessing the paper inventory these past months, I came to the realization that saving these documents would require no less than a 5' x10" storage facility, costing no less than $50 a month. Goodbye, papers! How long is one required to keep tax returns? How long must one keep the supporting receipts for the tax returns? The answers to these questions are vague (Isn't it surprising that the IRS would be vague?) If you cheat on your taxes, you'll need to keep your records indefinitely! If you don't, please see the IRS link for the vague answers. Will he be able to do our taxes when we are no longer residents of Minnesota? Answer: Yes, as long as we have access to the internet. The magic of the Internet with the availability of keeping digital personal records is steering us further and further away from the necessity of keeping paper copies of everything. Our medical records, bank statements, income records, financial records, and other legal documents an now be kept online in a secure "cloud." I made a list of the documents we'll need to keep and subsequently store. (This list may be different for you depending on your personal circumstances). Original titles to cars (until we sell them both before we leave the US). Today, after a brisk 45 minute walk on an otherwise lovely morning, I returned home with a certain sense of dread knowing that I must begin the sorting process. When beginning a dreaded project I've always preferred to begin with the "worst first." First, I attacked the old style wood two drawer file cabinet in our bedroom that loomed in my mind in the middle of the night. My next concern is the disposal of the papers, shredding and recycling being the only logical choices. After researching online I found a free shredding event which I put on my calendar with a plan to haul my two big bags of papers on June 23rd to the grocery store parking lot where Shredit will be offering the service to the community. Go through papers, removing envelopes, advertising, printed booklets and anything that doesn't reference your name, address, social security number, bank account numbers, dollar amounts, etc., placing papers in appropriate tote; all personal items go into the shredding bin, all peripheral papers in recycle bin. (Tear off parts of forms with your personal information and save the rest for the recycle bin). You'll be amazed how much smaller your shredding pile is, as opposed to the recycle pile. Place papers to be shredded into containers as suggested by your free recycle event into either bags or boxes. Deliver them to the specified location on the specified date and time. If one has additional shredding beyond that which the shredding event will accept, one can plan to repeat this process closer to the next arranged date in the area. Often, waiting for a free event is difficult when we so much want to get this cleaned up and out the door. Most office supply stores have a shredding program (prices vary by locations and promotions). Although I still have several more days of papers to toss, it's less intimidating with this simple plan in place. Hopefully, by week's end this task will be completed, leaving me with little piles of the documents we will be taking with us on our journey. I am looking forward to an enormous sense of relief. Tomorrow is Round #3 of vaccinations which will include the first of three rabies shots. I'll keep you posted!